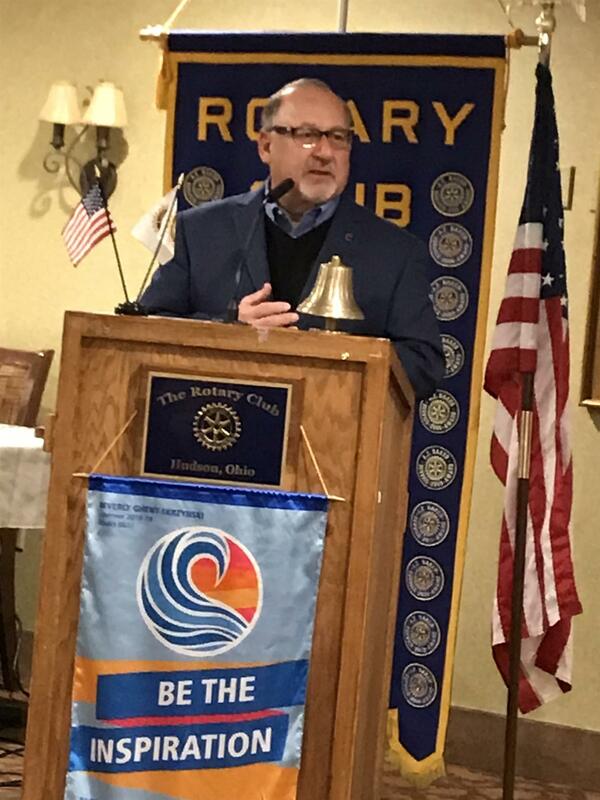 The Rotary Club of Hudson led off their current focus on regional sports with an update by Bob Dibiasio, Senior Vice President Public Affairs with the Cleveland Indians who provided a positive outlook for the 2019 season and discussed some of the significant changes occurring in major league baseball. 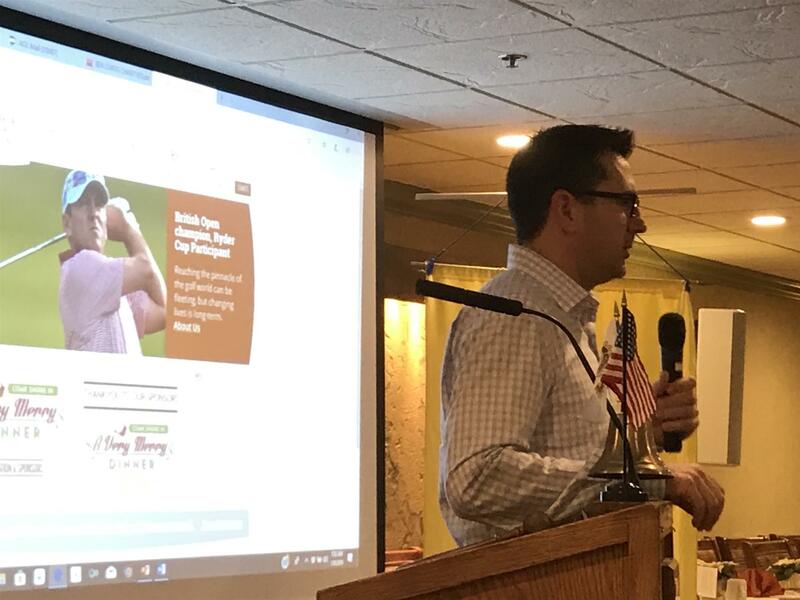 The first meeting in January featured Ben Curtis, local retired PGA tour golfer who won the 2003 British Open and helped win the Valhalla Ryder Cup for the USA. Ben revealed his secrets to succeeding in golf and described his new Golf Academy associated with the Country Club of Hudson. He expects his students to build mental toughness, learn course management and adopt good nutrition habits. Ben and his wife Candace are also growing their Family Foundation to benefit needy Kent school children providing “Birdie Bags” of food and a “Very Merry Dinner” at holiday time. January 16---Larry Williams, Athletic Director, University of Akron. January 23---Hudson High School Athletic Director Michael Chuppa with four seniors discussing the stresses and successes of being student athletes. Community members interested in learning more about Rotary are welcome to attend a complimentary breakfast any Wednesday at Laurel Lake from 7:15 to 8:30 a.m. by contacting Rich Warfield at rwarfield@warfieldcompany.com. 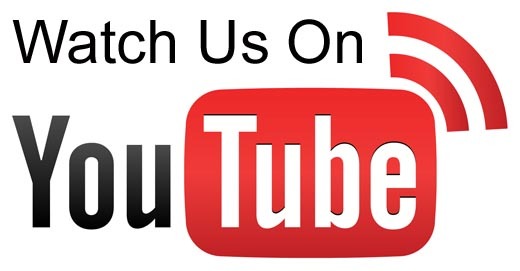 Check out current Rotary activities, speakers and community projects at www.rotaryhudson.org and Facebook.